ecoCard is a prepaid debit card that allows online gamblers to make secure deposits and withdrawals to and from their online casino accounts. ecoCard is one part of a larger e-wallet and money transfer service known as ecoPayz and it’s actually a branded Mastercard prepaid debit card which means it’s accepted almost everywhere. Due to the fact that ecoCard is a prepaid debit card, it’s a little different than using a credit card or an e-wallet service like Neteller and Skrill. When you’re using the ecoCard you have to load it with funds before you can make any purchases. This can be a good thing for some people but it’s important to understand all the advantages and disadvantages of using ecoCard before deciding if it’s a good banking option for you. In this article we’ll break down how to get started using ecoPayz, ecoCard and ecoVirtualcard for online gaming, the service’s upsides and drawbacks, average wait times for transactions and the extra fees you can expect to pay for the service. The truth is ecoPayz can be a great option for some people if the conditions are right. Keep reading to see if it’s the right choice for you. Please Note: ecoCard is not available for online casino transactions for players based in the USA. It is authorized and regulated in the United Kingdom by the UK Financial Services Authority. Whether you choose to use ecoCard or ecoVirtualcard it works pretty much the same way. First, you have to sign up for an account with ecoPayz. The registration process is free and really easy to complete. If you choose to use ecoCard there may be a fee associated with having the card issued and mailed to you. If you choose ecoVirtualcard it’s completely free to sign up. Tip: If you already have an online casino account, make sure your casino accepts ecoCard before going to the trouble of signing up for an ecoPayz account. Once you have an account you have to upgrade to Silver status. You don’t have to pay anything to upgrade but you do have to provide ecoPayz with some personal information and documents to verify your identity before you can make financial transactions. Once that’s done, the next step is to load your card with funds so you can make a deposit at an online casino. ecoCard works with three different currencies: GBP, EUR and USD. You can still make deposits even if you play at an online casino in a different currency than you use to do your banking but there will be an extra fee associated with the currency conversion. Within your ecoAccount you have lots of options to fund your ecoCard. You can connect your credit cards or bank accounts or make a traditional bank transfer. Once your ecoCard is loaded, go to your online casino’s cashier and find the deposit tool. Choose the ecoCard option and enter all the necessary information. If everything is working properly the money will be in your casino account immediately and ready to use to make bets. ecoCard and its parent service ecoPayz offer tons of financial services, making it a great choice for handling money transfers for online gambling and beyond. The biggest downside is the fees. Withdrawals cost you 2% of the money you’re moving with a minimum charge of £1.50. Using ecoCard to make deposits at online casinos costs you 4% with a £1.50 minimum charge. There’s also a 2.99% currency conversion charge if you’re depositing to a casino that deals in a different currency than what you loaded onto your ecoCard. Extra Security – A lot of people prefer to use a third-party payment processor because it puts another layer of security between your banking information and the online casino. When you use ecoCard the online casino never gets to see your specific account details. All they see is the ecoCard deposit. Anonymity – Another reason people like ecoPay is the privacy it provides. Some people don’t want online gambling transactions to show up in their bank account or credit card statements so they choose to load up their ecoCard from their bank account or credit card, and then make deposits to their online casino account from there. Fast Deposits – Deposits using ecoCard show up in your online casino account instantly which is a huge plus for people who want to get playing right away. Because the ecoCard is pre-loaded, the casino doesn’t have to wait for anything to clear before releasing the funds to your account. Wait times are one area where ecoCard definitely shines. Deposits are instantaneous and withdrawals usually only take 1-2 days to process. ecoPayz offers two main services and they’re pretty similar to one another. ecoCard and ecoVirtualcard are both prepaid debit cards that can be used to make purchases at stores in real life and on the internet. ecoCard is a physical card that’s mailed to you and allows you to make purchases in real life, the same way you would with your regular bank debit and credit cards. The ecoVirtualcard only exists online and is used for one-time purchases at online stores and vendors. The biggest difference is that you can’t make withdrawals from your online casino account using ecoVirtualcard. Deciding which option to use depends on your personal situation. If you only plan on using the service for online gambling and other internet purchases, you can probably get away with just the virtual card. It’s an attractive option since it can save you some money. Depending on where you live, there might be a fee associated with issuing and sending you a physical card. On the other hand, if you want to have the option of making purchases with ecoPayz in real life as well, choose the ecoCard option and have a physical card mailed to you. ecoCard and ecoPayz have been around since the year 2000 when it launched in the UK. It was among the first crop of e-wallet style financial services and offered money transfer services online to customers in the UK. 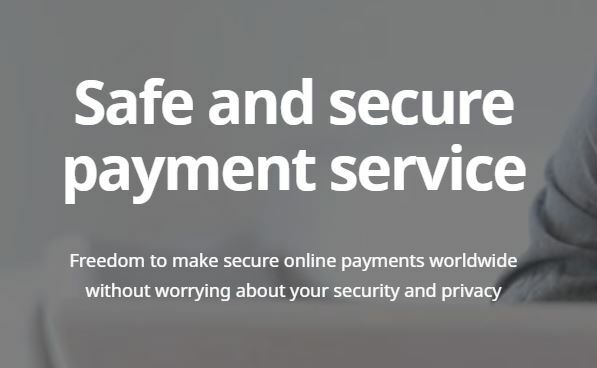 In 2008 PSI-Pay Ltd, the parent company of ecoPayz, was regulated by the UK Financial Conduct Authority as an authorized electronic money institution which made it subject to regulatory requirements and supervision. This helped the company expand to other parts of the European Union and the following year ecoPayz became a Principal Member of Mastercard which allowed it to issue cards backed up by Mastercard that were accepted all over the world. In 2009 ecoPayz also introduced its first mobile app. In 2010 ecoPayz began offering 24/7 customer support in a variety of languages and in 2011 began offering business account services. In 2013 the company launched the modern suite of services with which we’re now familiar, including ecoAccount, ecoCard, ecoVirtualcard, ecoPayz Business Account and ecoPayz Merchant Account.